This week, many of you will celebrate Star Wars Day. If you are one of those many, you may be looking for some fun Star Wars activities to add to your homeschool lessons. Well, I’ve got just the thing for you! I’ve created a fun Star Wars inspired handwriting bundle just for you! 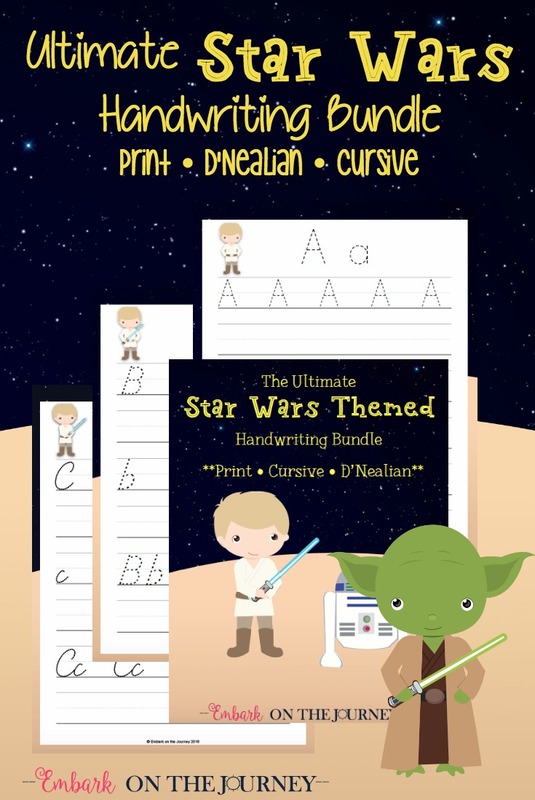 This Star Wars inspired handwriting bundle is perfect for your beginning writers! There are three fonts to choose from – print, D’Nealian, and cursive. Students can trace each letter to learn how proper letter formation feels. Then, they can use the blank lines to practice writing each letter on their own. I suggest printing these pages out and laminating them. Use wet or dry erase markers to do the handwriting practice. This allows you to wipe the page clean and reuse them which saves money on ink and paper. 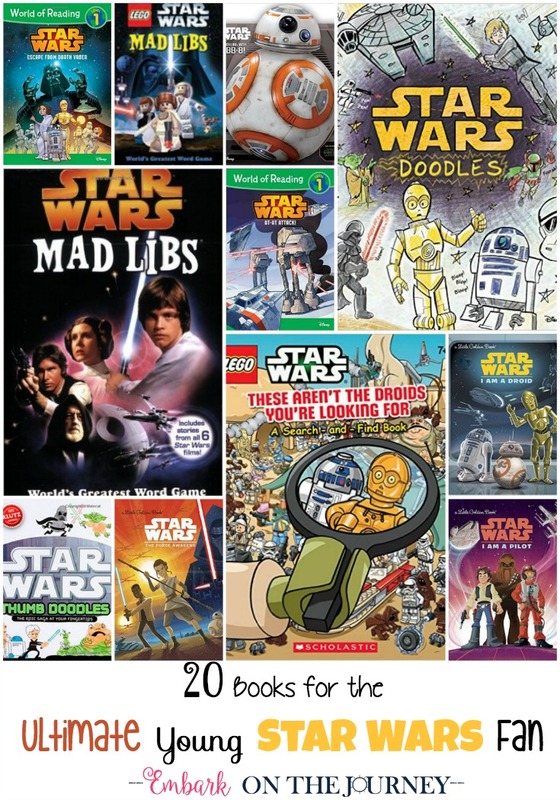 If you’re looking for some fun books for your Star Wars fan, check out this list. Many of these books can be found at your local library or book store. We’re gearing up for May the 4th!! What a wonderful unit study jumping off point. This is super cool – we’re all big Star Wars fans here so I’m sure this will go down well! Too cute! Can’t resist adding these to my collection for the future! Love it! Thanks for including the variety of fonts and for sharing at the #LMMLinkup. May the fourth be with you (even though it’s the 8th now).